Art bookstore owner Yoshiyuki Morioka wonders about the English name of the shop which he opened last month. Is it strange, he says, to say, “A single room with a single book”? Wouldn’t it have been better to say, “One book, one room”? It doesn’t matter. The concept is brilliant. 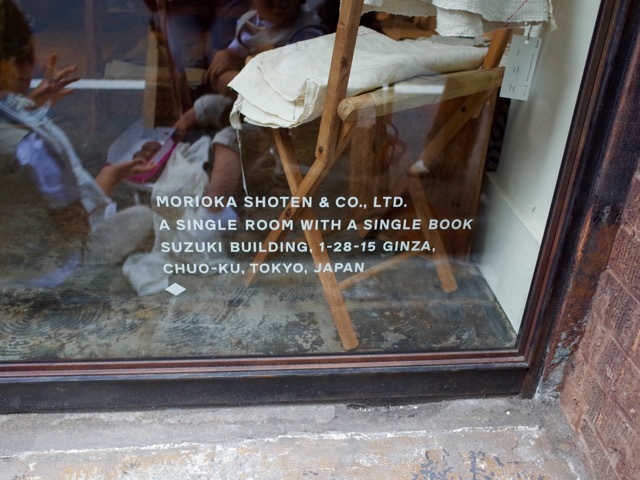 A single title is the only book Morioka sells at his tiny store in east Ginza. Each book is on sale for a limited period. Morioka approaches its creators ahead of its release and asks them to be involved. Then, like many bookstore proprietors, he holds a launch party and sells related merchandise along with the book. The difference is that the event extends for days, and the merchandise includes items that are either in the book or connected with it. On this afternoon you catch the launch of Furui Nuno de Tsukuru (“made from old cloth”), by writer Rie Ishikawa and photographer Chie Nagata, about the antique textile creations of designer Tomiko Yamanaka. It runs through this Sunday, June 28. Well-worn fabrics of linen, cotton, hemp and silk, from Japan and France, are crafted by Yamanaka into gentle, easy-to-wear clothes including jackets, trousers and tops, as well as persimmon-dyed bags and pieces of simple unaltered boro, or painstakingly repaired cast-offs. They are displayed around the walls and a central table. There is an energetic air, as visitors crowd the room to touch and try on the items. Books are three-dimensional objects, so I want to make a place where you can fully experience one. This is just the store’s fourth event. 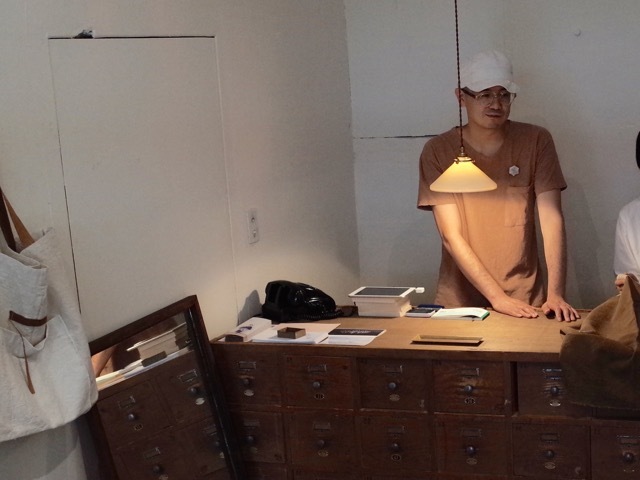 Morioka has run another, more conventional art bookstore near Kayabacho station for 10 years. He says, I actually got the idea for this new place about eight years ago. I thought that since I was often holding launch events, and people related to the book would come, why not extend it. That way, everyone can get more out of it – the creators and editors, the readers, and me. 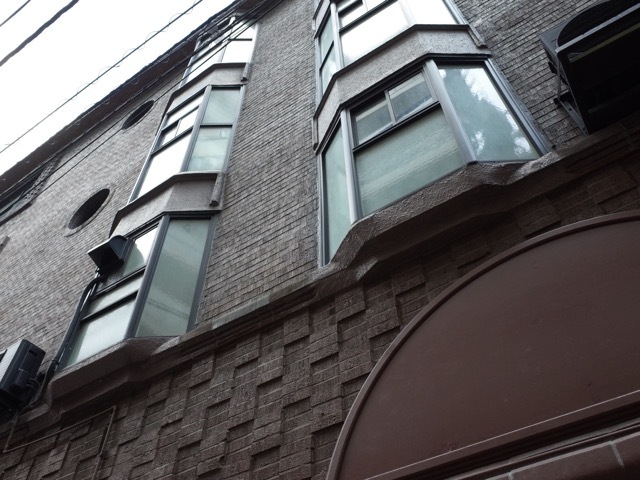 The building he moved in to is a landmark in Japanese publishing. Built in 1929 in a quirky mixture of gothic, art deco and unidentifiable styles, it was home to a nationalist magazine in the late 1930s, then survived the US firebombing and became a hub of design and production that involved artists such as photographer Ken Domon, and graphic designer Yusaku Kamekura, who made the Expo 70 visuals. Morioka’s space puts a twist on this eccentric history. Almost everything from the raw material of the book being launched to the actual readers gather in this one small location. Morioka says, Books are three-dimensional objects, so I want to make a place where you can fully experience one. So is your shop like a book I can walk into?